Jeremy Clarkson could be waving goodbye to his BBC career this week as his disciplinary hearing is expected to deliver its verdict. This week the fate of Top Gear’s Jeremy Clarkson should be decided. The background facts do not appear to be contested (although no-one external can know for sure): Clarkson got into some type of fracas in a canteen with a more junior colleague and hit him. 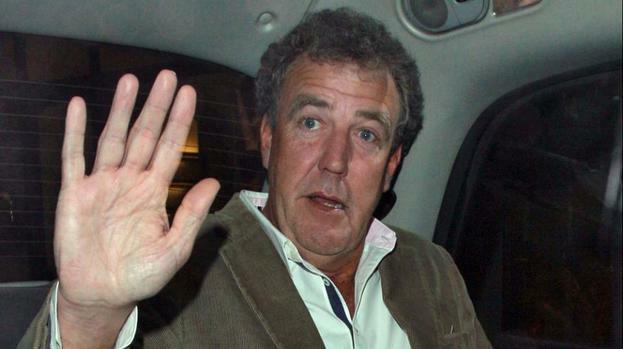 The allegations against Clarkson are of “physical violence” and are one of the examples of types of offense which are likely to amount to gross misconduct if proven. I can’t say I have any great sympathy for Clarkson, he has a history of making arguably bigoted and disgusting comments against others, especially minority groups and unions which should have got him the boot long before now. Still, I do not know the circumstances and so it is wrong for some, like Owen Jones, to call for his dismissal. Even if, as seems likely, he did punch a colleague I do not, for example, know whether there were any mitigating factors in play. Let’s suppose he was on medication of the type that affects behavior, or he had just received a devastating phone call telling him of the death of a loved one then that may be sufficient mitigation to justify him avoiding the sack. Similarly, it is at least equally as wrong for the Prime Minister to call on the BBC not to sack him. The fact is only those hearing the case will have the full story. This would mean that it could be leaving itself open to unfair dismissal claims from other staff in the future if they are dismissed in similar circumstances or for other perceived gross misconduct offences and Clarkson is not. Each unfair dismissal case is judged on its own facts and, truth be told, I am not completely convinced Irwin Mitchell are right. As was shown in Levenes Solicitors v Dalley  UKEAT 0330_06_231, for example, even where treatment is disparate this will often not mean a dismissal is unfair. It is however, an important issue, that is raised between how employers treat the misconduct of senior staff compared to that of more junior staff. Certainly, senior managers are dismissed but I do think there is a particular trend in some large employers for senior managers to avoid dismissal when, but for their seniority in an organisation, they would have been dismissed. This is actually the reverse of what should be expected objectively speaking: the more senior an employee the more significant the trust and confidence that that employee holds and, therefore, the more likely that such an offense destroys the employer’s trust and confidence in an employee. I think it is clear that some in the BBC higher echelons do not have the best regard for Clarkson so the situation is, I suspect, unlikely to arise but if her were to keep his job it would still be extremely interesting to see how the BBC responds to the subsequent more ‘run of the mill’ disciplinary investigations that would invariably follow. Perhaps the first would be Clarkson’s co-presenter’s refusal to work and instigation of an unlawful strike?